Youths are our greatest national resource, and the youth of today are making apps for effortless on-demand junk food delivery. 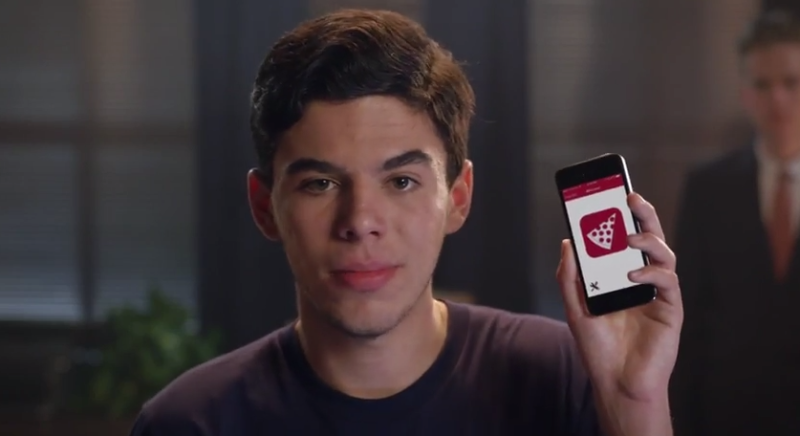 I talked to one, 19-year-old Max Hellerstein, who captured today's tech headlines with his new startup, Push For Pizza. As the spiffy, surprisingly funny promo video above says, "Yes, it's real." But since when did companies need to start promising that they aren't elaborate practical jokes? Since when did teens start making pizza companies? Since when did Yo stop being idiotic and start being mimicked? I hopped onto Gchat, hoping to impress Max with my teen software fluency, to talk summer jobs. The following has been lightly edited for brevity and clarity. I take it you're based in NY? how old are you all? got it—what made you two drop out? is this your first app? and we worked out a cash + equity swap deal with Adam, fortunately we were able to pay a smaller amount! yeah he's a pretty prolific guy. OK so you've already handed over some of your equity. have investors talked to you yet? we look to raise some money in the coming weeks! what do you guys need money for? isn't the whole point just pressing a single button and then a pizza comes? how easy do you think you could make pizza ordering? what's the next step after just tapping a button? The idea is like, we literally want you to open the app, press the button, and boom, pizza. have you ever ordered a pizza over the phone before? just kidding, maybe, 1 million to start? if grubhub wrote you a check for $1 million today in exchange for buying your entire company, would you take that offer? that's smart. why do you think a million bucks isn't considered a lot of money anymore? it's impressive. beats most summer jobs at least. do you have other friends who are pursuing the startup life? and are you going to head west? what do you think of Yo? do you see him as a competitor in the "click this thing that only does one thing" space? but isn't their argument that Yo can be for anything, including pizza? Are your parents down with this life plan so far? I went to college for one semester, a local school called Brooklyn College and that just wasn't for me. How much money would it take you to screw over all the rest of your friends, a la Zuck or Evan Spiegel? that question was a test and you have passed the test. OK last two questions: are you surprised to see giant mainstream tech publications like techcrunch and the verge covering a pizza delivery app with one button? and: why no breadsticks? c'mon man. If Hellerstein and his friends can sew up that promised breadstick option, he might be able to secure a multi-million dollar valuation before his 20th birthday.